When I was in seminary, I learned my theology was a product of the Protestant Reformation. When Martin Luther wrote his 95 complaints against the Catholic Church he was opposing the selling of “indulgences.” Indulgences allowed people to pre-pay their souls out of purgatory. In the following years his writings helped to usher in the Protestant Reformation and trigger a schism that’s resulted in tens of thousands of Christian denominations. The Protestant Reformation was a PROTEST against the Pope, fueled by the excessive expense behind St. Peter’s Square and the Apostolic Palace. As a nonbeliever, all I saw in Christianity was hypocrites who didn’t live what they preached, and certainly didn’t appear to follow the message of Christ. When I found God, and before seminary, I studied scripture, alone. I developed my faith, alone. I experienced God’s grace when I was alone. I identified with the Protestant Reformation because I agreed with the spirit of protest against the hypocrisy. In recent years, I’ve come to focus on Reformation — the need for faith to be reformed. The Catholic Church must continue to reform, in many areas. All Protestant denominations must reform. Most who call themselves Christians should reform how they interact with others outside the faith. Each of us must reform, renew, and transform how we live and interact with others. Reformation is every day, in every way, as our faith grows. 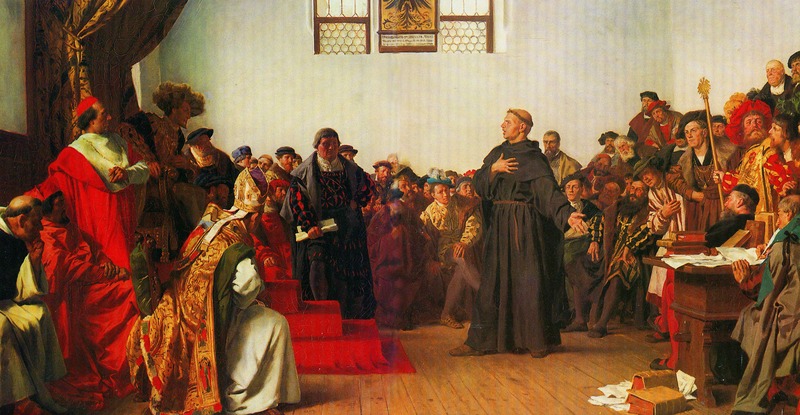 This entry was posted in Faith, Uncategorized and tagged Martin Luther, Reformation. Bookmark the permalink.